How we imagine Roland at the end. We are finally here. We have crossed the lands of Mordor, braved the winter wastelands of Westeros, and survived Arrakis’s unforgiving and unending desert in a struggle to master fate itself and steer the course of the universe. WE NOW STAND BEFORE THE DARK TOWER. These other fictional worlds lie parallel in their own universes to Stephen King’s Dark Tower, in a metaphorical sense. They all in their own fashion represent the journey to the tower: to reach for the meaning of life, to attain one’s highest achievement, or to finally atone for one’s sins. The trek to the tower defied literally every expectation we had of this journey, and delved into some truly profound territory. 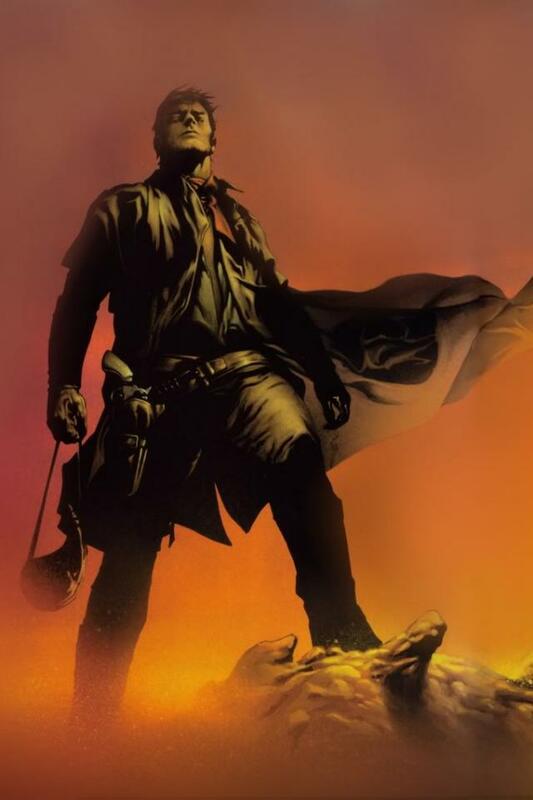 Roland Deschain ended his journey as it began, alone, and using his own wit and will to defy superior powers and reach the nexus of all worlds. Wow, if that sounded spoilery, don’t worry, it’s only a vague description to keep this epic monologue going. It won’t help you fully understand or comprehend what King ultimately has our protagonist find. We’re still scratching our heads, not because of the complexity of the end, but of the implications it has for humanity. It’s not a conventional ending by a long shot, nor would we expect one from this tale. Our man Roland and his quest to save himself and all of creation will stick with us for a long time and demands attention for it’s literary elegance and execution in the questions it asks of us individually, including who do we want to be in this lifetime. If you want to hear our full discussion on the end of this amazing journey, check out the podcast. Spoilers ahead. Enjoy.